Media is one of the key strategic pillars in any marketing strategy. Progressive marketers view media as an investment that will drive business growth in both the short and long term, and this is elevating media as a focus for Chief Marketing Officers. Optimising strategic media value requires very careful governance. In a world obsessed with measuring results, quantifying media ROI has become an important element of most marketing plans, with aggregating and integrating data across all consumer touchpoints recognised as essential for driving media effectiveness. However, the proliferation of new channels is making the media supply chain ever more complex, therefore it is absolutely essential to ensure complete media transparency - not only in terms of pricing, but also in terms of fraud, viewability and frequency control. This is why companies must have a clear view of the value that media (and increasingly, media technologies) can deliver to their marketing communications. A strong media governance process is essential, and competencies must be aligned to meet the demands of the evolving media landscape - one that enables an informed approach to developing an effective media strategy. Whether strategic media planning is managed in-house or through an external media agency partner, the process must always start with establishing a clear set of business objectives and a deep understanding of consumer behaviours and decision-making processes. Together, these elements are critical to identifying growth opportunities and informing the development of media strategies that will successfully achieve your objectives and deliver ROI. The digital transformation will continue to have a profound effect on the future of media. The impact of digital technology continues to drive seismic changes in the media landscape and significant shifts in the ways in which the industry operates. Indeed, rather than being a channel in its own right, ‘digital’ is now a delivery mechanic that can be applied to almost every channel at a brand’s disposal. Automated programmatic trading, once largely the domain of low-value online media, has now extended to include traditional channels such as TV, outdoor and high-quality media. This is disrupting legacy trading models by shifting the focus for programmatic buying from a purely cost-driven equation to a value-driven equation. It is therefore vital to ensure that agency contracts are updated in line with these developing industry dynamics. The expansion of digital inventory is providing even more data to drive increasingly effective and efficient marketing communications. More (and better) data allows for improved strategic planning, cross-channel audience tracking and personalised communications. But to leverage this data effectively, you need to have clear data management strategies in place. As ‘digital’ continues to mature, clients will demand ever greater transparency from their media suppliers and will start bringing some elements of media planning and buying in-house. Whilst this in-housing will certainly limit non-transparent practices and reduce fraud, it also means allocating a greater percentage of media budgets to non-working media (such as ad verification technology and digital supply chain auditing). The in-housing of media is an increasing focus for many companies. Whilst not a new phenomenon (some prominent advertisers have internally managed elements of media planning and buying for years), its proliferation is being driven largely by the impact of technologies such as programmatic media buying. The advertisers who decide to build an in-house media agency with all its associated capabilities tend to be newer performance or digital companies that have organically grown their marketing departments so that they can develop content and implement media themselves. However, many progressive legacy businesses are also evolving their internal capabilities to allow them to manage elements of media in-house, such as programmatic media buying, media analytics and media strategy development. A key driver for this is that in-housing gives advertisers greater control over their media budgets. For example, the in-housing of programmatic media buying avoids the need for challenging discussions with media agencies around transparency of costs, viewability of ads and ownership of data. 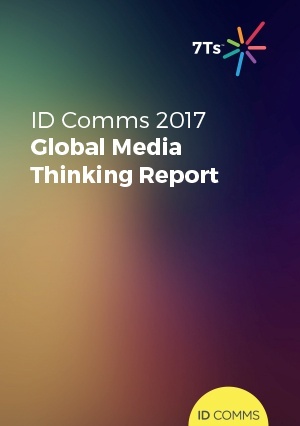 However, the challenge of the in-house model lies in being able to maintain market-leading media capabilities in a rapidly evolving landscape without access to the specialist expertise and huge resources that media agencies have at their fingertips. Improving your communications planning is critical to developing powerful marketing communications that are both efficiently delivered and effective in their outcomes. To achieve this, a consumer-centric, data-informed and cross-channel approach is crucial. This relies on having a simple and clearly defined process in place, one that aligns all client and agency stakeholders across all stages of communications planning. The bedrock of this process is briefing and objective setting. These ensure that strategy development, campaign activation and campaign measurement are all mapped against a client’s core business and marketing objectives, rather than against an unconnected set of media KPIs. It enables all the stakeholders to unite behind a common set of goals. And by introducing media planning and creative thinking at the same stage of the process, you can drive truly joined up and single-minded communications thinking. Looking at your brand communication guidelines, these should not only ensure that core brand values are adhered to in execution, but should also provide direction on what great planning and activation actually look like. Meanwhile, having a clearly defined innovation framework will ensure that the media investment can be evolved to embrace new technologies without losing communications effectiveness. Finally, capturing actionable and shareable learnings will help to improve and adapt future campaign strategies, driving a culture of ongoing improvement and excellence in marketing communications.